While we firmly stand on the Android isle of things here, there’s no denying that iOS does have its perks. For one, you never have to worry about when an update for the iPhone or iPad will be rolling out. Since new versions always roll out universally, there’s never a waiting line even if your device is a couple of years old. With the implementation of Project Treble as a part of Android 8.0 Oreo, Google is hoping to achieve a similar utopian future. Soon enough, Android OEMs will be capable of releasing software updates as regularly as Google does for Pixel devices. In the meantime, here’s our weekly Android firmware update roundup to keep you up to speed. Galaxy Note 8 now receiving March security update. 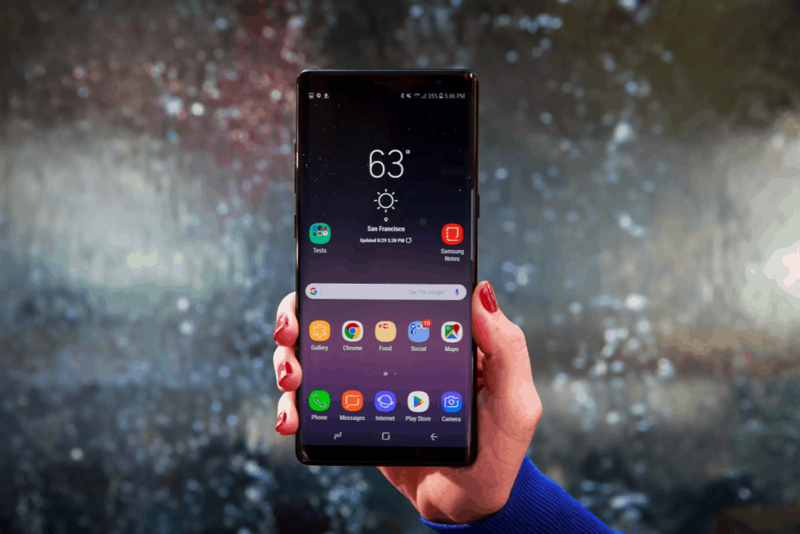 AT&T releases Android 8.0 update for Galaxy Note 8. Sprint and Verizon release Galaxy Note 8 Android Oreo update. March security update out for Galaxy A7, Galaxy A8+, and Galaxy C7 Pro. Galaxy S7 and S7 Edge receive security update for March. Galaxy S9 and S9+ receive a new software update. April security patch already out for Galaxy J3 2017 edition. AT&T releases Android 8.0 Oreo update for the LG V30. Nokia 5 and 6 receive Android 8.1 Oreo stable update. Redmi Note 5 MIUI 9.5 Global Stable ROM being rolling out. MIUI 9.5 ROM released for Redmi Note 4. Redmi Note 3 receiving the Marshmallow-based version of MIUI 9.5 ROM. OxygenOS Open Beta update out for OnePlus 5 and 5T. Android 8.0 Oreo released for the ZenFone 3 Deluxe. A month after Galaxy S8 received Android Oreo, Samsung began rolling out the same for Galaxy Note 8 last week. For some regions, the update came with an outdated security update from February, which the South Korean company is now fixing on the Galaxy Note 8. Carrying the build number N950NKSU3CRC2, the March security update is currently out for Note 8 devices in South Korea. In the meantime, network carriers in the US are catching up this week to the Galaxy Note 8 Oreo update. The firmware update is already being pushed across the United States with build number N950USQU3CRC2 for devices on AT&T, Verizon, and Sprint. The 1.4GB comes with not just the upgraded Android version, but the March security patch as well. Based on an official word from Samsung, all variants of the Galaxy Note 8 in the United States will be updated to Android Oreo in 2 – 3 weeks. The March security patch was also pushed out at the very end of the month for older flagship devices. The list begins with Galaxy S7 receiving the update with the new build number G930FXXS2DRC3, starting off in the Netherlands, Luxembourg, and the Czech Republic. Similarly, the March update for Galaxy S7 Edge with build number G935FXXS2DRC3 was also spotted across multiple countries in Europe. In addition to the flagship devices, mid-tier models like the Galaxy C7 Pro with build number C701FDDU1BRC2 in India, and Galaxy A8+ 2018 version with build number A730FXXU2ARC9 in Russia and Uzbekistan received the March security update as well. Even the older Galaxy A7 2017 edition received the security patch for March with build number A720FXXU3BRC2 in South Africa. There seems to be a dent in Samsung’s long-standing reputation for releasing sluggish software updates. 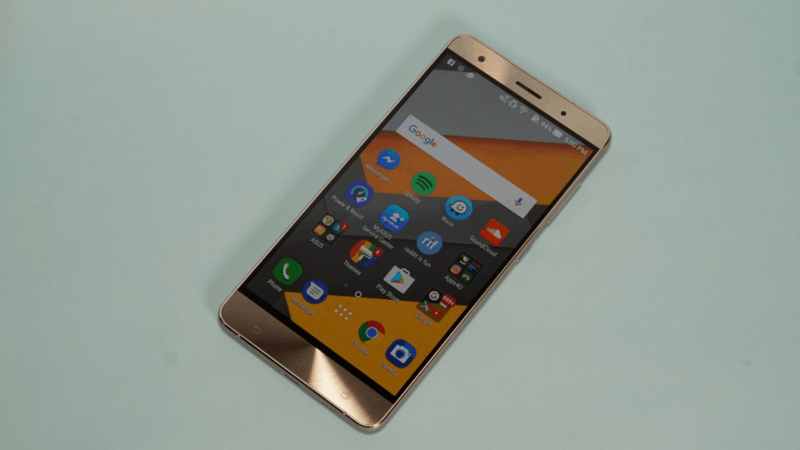 The company has unveiled the April security update early this month, but not for the flagships. Surprisingly enough, it is the low-budget Galaxy J3 2017 edition to receive the latest security patch, with the build number J330FXXU3ARC5. Finally, the current flagship devices from Samsung also received a software update last week, with build numbers G965FXXU1ARCC and G960FXXU1ARCC. The 287MB software update for the Galaxy S9 and S9+ comes with a changelog stating call stability and improved wallpapers. Both the devices were the first in line to receive the March security update last month. 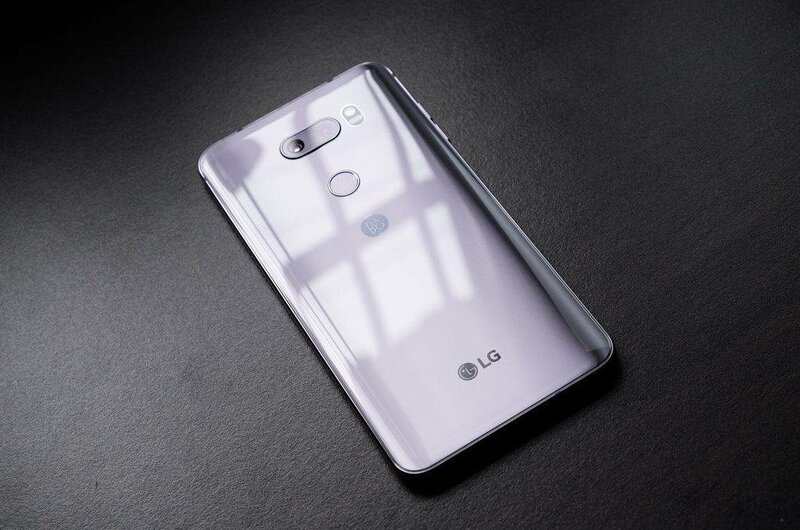 Back in late December last year when the LG V30 was receiving Android Oreo in South Korea, expectations were high. Fast-forward to the end of March, and the highly-anticipated Oreo update is finally being pushed out the AT&T-powered LG V30. Verizon beat everyone else to the punch with the update early this month and while Sprint and AT&T have followed, T-Mobile users still await the Android 8.0 update. The firmware comes with the security patch from March with software version H93120c. While Android OEMs like Samsung are finally bringing Android 8.0 to flagships, Nokia is surging forward to the next version. After issuing Android 8.1 to the Nokia 8 early on, the company is now bringing the same to the mid-tier Nokia 6 and Nokia 5. While the Android 8.1 update for both devices is available in India for now, Nokia 5 users in regions such as Indonesia and Tunisia are also receiving the update. The updated software version V5.580 comes with the March security patch, and the changelog suggests other additions, too. Expect a new Settings menu, Bluetooth battery percentage, battery-friendly navigation buttons, and more. Chinese tech giant Xiaomi announced last week that the MIUI 9.5 Global Stable ROM would be out for more than 30 devices. The Redmi Note 5 is receiving update version 9.5.3.0.NCFMIFA, starting off with users in India. It’s still running Android 7.0 Nougat, despite releasing on the same version with the MIUI 9 ROM. 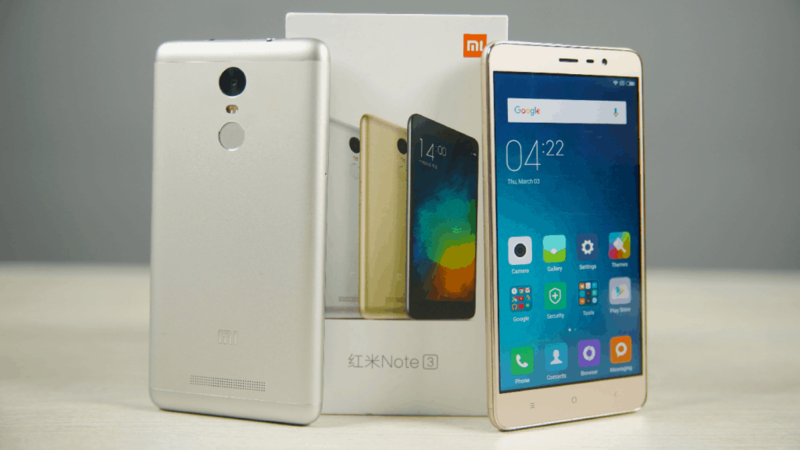 An identical update is also being pushed out for its predecessor, the Redmi Note 4. The older Redmi Note 3 is also receiving the MIUI 9.5 Global Stable ROM just like its younger brothers. The software version V9.5.1.0.MHOMIEK weighs the same 425MB and comes with the security patch from January. Unlike the younger versions that are on Nougat, the Redmi Note 3 is still running Android 6.0 Marshmallow. While the community is still reeling from the revelation that the OnePlus 6 will have a notch, software wizards are hard at work updating previous models. The OnePlus 5 and OnePlus 5T are currently receiving a new update, exclusive to those who are enrolled in the Open Beta program. The Open Beta 7 update for the OnePlus 5 and Open Beta 5 for the OnePlus 5 bring a slew of features with. Based on the changelog from the Chinese mobile company, you can expect some UI changes to the OnePlus Launcher. Additionally, the update brings improved accuracy for the Weather app with new icons and UI, and a Network boost feature on the Gaming mode for lower latency when gaming online. After successfully updating all the ZenFone 4 series devices to the latest version of Android, Asus is now catching up with the older ones. This week the Oreo update knocks on the door for Asus ZenFone 3 Deluxe users, which came out with Android 6.0 back in 2016. The software update version V80.20.96.89 not only brings the features of Oreo, but takes out some annoyances as well. Asus is removing a bunch of third-party apps like TripAdvisor and Kindle, along with Asus-only apps such as Mini Movie and PhotoCollage. Are you among the lucky owners finally getting the months-old Oreo update on their devices? Do you own an Android device that recently got updated but we haven’t covered it yet? Be sure to become a part of the conversation and drop a word in the comments section down below.